Reading through the book of Jeremiah in my quiet times I noticed towards the end of the book that things get pretty depressing. Plagues, famine, war, oppression, corruption, religious hypocrisy, idolatry, hardheartedness, warnings, threatenings, and judgments from God are legion. Granted, sprinkled throughout the book are key texts that shine like diamonds and offer hope for those who repent and seek the Lord. Yet in stubborn defiance to these calls from God, no one repents. No one listens. The Word of God is rejected while the people heed the words of the false prophets. If a person were to parachute into the latter part of Jeremiah’s prophecy and start reading, and if he kept reading to the end of the book, and maybe into Lamentations, he might get the idea that God is angry, bitter, vengeful, and scary. It is true that God is scary. And it is also true that He is angry at the wicked every day (Psa. 5:4-6; 7:11; 11:5). You have heard the old saying, “God hates the sin but loves the sinner?” That is true, but it is also true that God hates the sinner while He loves them. We must remember that God is not a finite creature like us. He is all of His attributes, infinitely, all at once, and all the time. We tend to be dominated by one emotion or thought at a time for we are finite creatures. But God is infinite. God can at the same time hate and love the sinner. He can be at the same time just and loving, wrathful and compassionate. God is all that He is all the time. If we start reading certain portions of the Old or New Testament and ignore the larger context of the book we are reading and how that book fits into the context of Israel’s history, we might get the idea that God is an unloving God of wrath and judgment. If you read parts of the New Testament where you see Jesus in His humility being patient with sinners or read encouraging sections of the letters to the churches that offer words of hope to believers, you might get the idea that in the New Testament God is a God of grace, mercy, and love. But be assured, there is only one God of the Bible. Let’s consider the "two God theory" in a bit more depth. If a person is not born again by grace through faith in the gospel of Jesus Christ they can’t interpret Scripture rightly. You must first place your faith in Jesus’ person, His death, burial, and resurrection so that you are born again. If you are not born again, you can’t understand the Scriptures rightly. You may be a Bible scholar, a pastor, a missionary, a philanthropic Christian, but you are dead in your trespasses and sins if you are not born again (Eph. 2:1-3). Until you come to saving faith in Jesus Christ you don’t have the Holy Spirit within you (Rom. 8:9) and you can’t understand the things of God, for the Holy Spirit is the divine interpreter of Scripture (I Cor. 2:10-14). No Holy Spirit, no experiential understanding of the Bible. Yes, you can know the stories, the facts, Hebrew, Aramaic, and Greek, but you will never know, personally and experientially, the truth of God’s Word without the assistance of the Holy Spirit. The Bible does not teach that you must first know the truth that you might believe. The Bible teaches you can’t know the truth until you believe; you must believe in order that you might know. Thus it is understandable that unbelievers come up with twisted interpretations of Scripture thinking there are two different God’s operating in the Old and New Testaments. Finally, some well-intentioned, but ill taught believers have perpetuated the concept of the “two God’s theory” never considering the implications of such a view. 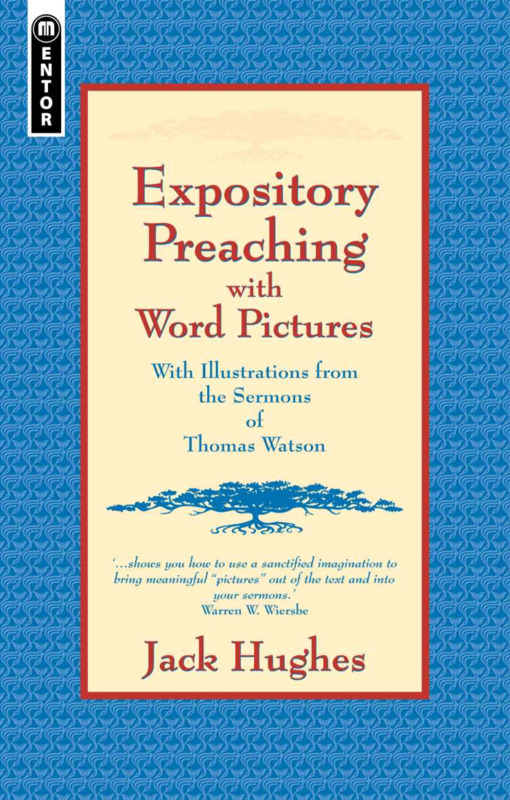 If you go to a church that doesn’t have doctrinally oriented expository preaching, it will show up as theological shallowness and lack of discernment in the congregation. If you have repented of your sins and placed your faith in Jesus Christ, you have the Holy Spirit dwelling within you, but without faithful biblical exposition and Bible teaching you might easily be persuaded to drink theological poison. There is only one God. The fact that God is One is a universally understood doctrine of the Bible (Deut. 6:4-6). There is one God and only one God. The doctrine of the Trinity is not a denial that there is one God. The doctrine of the Trinity states that there is one God who has chosen to manifest Himself in three distinct persons. Each person has a different role within the godhead. The Trinity does not describe a pantheon of gods, but the One and only God (Deut. 4:34, 39). Men have spent volumes trying to explain and defend the Trinity, so I am not going to attempt to do so in a paragraph or two. The Bible makes it clear that God the Father, God the Son, and God the Holy Spirit are all fully God in every respect. The Bible also teaches there is one God. Therefore the one God is a triune God. The doctrine of the Trinity is an essential doctrine of Christianity and to deny the Trinity is to believe in a damning heresy and to deny the one true God. The implications of there being only one God is that the God of both the Old and New Testaments are the same God who is both a God of wrath and a God of grace. God is immutable and unchangeable. One of the perfections or attributes of God is His immutability. What that means is that God’s character and nature does not and cannot change (Mal. 3:6; Heb. 13:8; Jam. 1:17). Yes, God often changes the ways He deals with mankind, but He himself is unchangeable. If He is a God of wrath or justice in the Old Testament He must remain that way in the New Testament. If He is a God of grace, mercy, love and compassion in the New Testament, by necessity, He must be the same way in the Old Testament. The God of the Old Testament is the same gracious God as the God of the New Testament. In the larger scope of the Old Testament what do we see? God’s love, patience, mercy, grace and compassion permeates it’s pages. His grace and mercy show up in the garden after the fall when God doesn’t kill Adam and Eve immediately, but clothes them with animal skins to cover their nakedness. He talked to them and directly communicated with them so they would know how to love and obey Him. But man still sinned. God graciously formed the nation of Israel giving them His Law, promising blessing for obedience and cursing for disobedience. The people of Israel swore to obey all that was in the Law or suffer the curses in the Law. But they rebelled and didn’t obey the Law. God sent prophets to warn, rebuke, and threaten them, that they might be blessed, but they rejected the prophets time and time again. God, being a just God had to punish them as promised, as they agreed. God was exceedingly kind, patient, loving, and long suffering with His people. Anyone who reads the Old Testament cannot escape this undeniable fact. The God of the New Testament is the same wrathful and just God as the God of the Old Testament. If you read the New Testament you will discover some of the scariest texts in all the Bible about God’s holy justice and wrath (II Thess. 2:8-12; Heb. 10:26-31). Jesus spoke of hell more than any other New Testament writer. Jesus spoke of judgment over ten times more than He spoke about love. Matthew 24-25 speaks of the judgment of the end times. The letters to the Thessalonians speak of the judgment that will come upon the earth. The book of Revelation has many texts that speak of God’s holy justice and wrath. Don’t let those who do not know Jesus Christ as their Lord and Savior, or those who have not read the entirety of the Bible, tell you that the God of the Old Testament is different than the God of the New Testament. There is only one God. He has chosen to manifest Himself in three distinct persons, Father, Son, and Holy Spirit. He is an immutable God and cannot change. In both testaments we see all of His divine attributes on display.